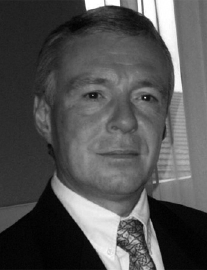 Robbin began his career in Financial Services in the UK in 1973 and subsequently relocated to Luxembourg where he worked in both the Banking and Financial Intermediary fields. In 1990, he took up a position in Switzerland, where he remains to date, involved in the management of several multi-national companies operating in Suisse Romande. There, he discovered that there was a distinct lack of truly Independent Financial Advice, particularly for employees relocating from the UK. Robbin joined The Spectrum IFA Group in 2006 providing just that service to both the local and expat communities and, in keeping with The Spectrum IFA philosophy, became a member of the CII in the UK and gained Swiss FINMA approval for Insurance-related products.